Although many of us are aware of the role of mental imagery in maintaining a variety of clinical problems and use some imagery-based techniques, we can sometimes limit ourselves in the breadth and depth of the application of knowledge and techniques. For example: Do you use imagery rescripting for trauma memories but not for other problematic images? Do you consider assessing and intervening for suicidal imagery? Do you work on imagery directly with your clients but are not sure how to work metacognitively with images? Would you like to use a more comprehensive approach to understanding how and when to intervene with problematic images (or when clients have a lack of mental imagery)? This masterclass provides an overview of the use of imagery across a range of clinical presentations and across the span of CBT including assessment, formulation, clinical technique, homework and therapeutic blueprinting. There will be plenty of opportunity to practice use of formulation and intervention using clinical examples from your own field of work, and in particular to use practice to develop confidence in using a range of imagery based CBT techniques. Day 1 will focus on theory, formulation and an overview of imagery based techniques and application of these to a range of mood difficulties. We will answer why and when you would use particular techniques as well as an overview of imagery change techniques for negative imagery; metacognitive approaches and techniques for problematic imagery and building compassionate and positive imagery. using metacognitive techniques to change client’s relationships to distressing images. how to use imagery rescripting in trauma presentations safely to work with distressing memories, nightmares and flashforwards. use of imagery to enhance constructive techniques such as strengths based CBT and positive imagery for enhancing self-care and efficacy. The day will finish with a final session summarising the range of applications of imagery based techniques; when to use and not to use imagery and final thoughts about particular clinical presentations/issues and the use of imagery based CBT techniques. 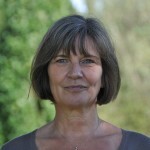 Lisa Palmer is a BABCP accredited Cognitive Behavioural Psychotherapist, working for Oxford Cognitive Therapy Centre. She has a background in Psychiatric nursing before qualifying as a CBT therapist in 1992. She has a particular interest in working with PTSD and has worked extensively with the Fire and Rescue service and other occupational groups such as police, armed forces and health service professionals. Other interests are in schema therapy, low self esteem, panic disorder and mindfulness. She has designed and taught on CBT courses for many years including IAPT High Intensity as well as supervising individually and in groups. She is an innovative practitioner and teacher and well known for inspiring others in the practice of CBT. Martina Mueller is a Consultant Clinical Psychologist who leads the trauma service for Oxford Health NHS Foundation Trust and she is the Course Director of the Postgraduate Certificate in CBT for Psychological Trauma. She is an experienced clinician who is widely respected for her innovative clinical work and now specializes in the assessment and treatment of PTSD and other complex reactions following adult trauma. She has worked on a European Union funded multi-centre research on innovative approaches to working with traumatized refugees and has a special interest in the treatment of multiple and prolonged trauma and horror-based flashbacks. Martina is one of the editors of the Oxford Guide to Behavioural Experiments in Cognitive Therapy, and is lead editor of the ’Oxford Guide to Surviving as a CBT Therapist’ published by OUP in 2010. Rachel Manser trained as a Clinical Psychologist with Oxford University. She has many years’ experience working as a Clinical Psychologist in primary care (latterly in an Improving Access to Psychological Therapies service); with Community Mental Health Teams and in an acute psychiatric inpatient setting. She has also worked as a therapist in clinical research settings, providing CBT for people given a bipolar disorder diagnosis as well as with people distressed by hearing voices. 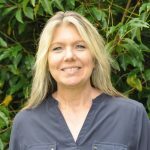 She has extensive experience supervising and teaching the application of CBT for a range of adult mental health presentations and to a range of skill levels, including volunteers, Psychological Wellbeing Practitioners, trainee therapists and CBT therapists and Psychologists. She teaches and examines for the Oxford Doctoral Training Course in Clinical Psychology. She has a specialist interest in psychosis and currently works in the local Early Intervention in Psychosis service seeing clients and providing supervision. Rachel works in OCTC as a supervisor, trainer and her primary role in OCTC is on the PG Cert in Enhanced CBT: Psychosis and Bipolar.